Josh Cilley, owner, has 10 years experience as a licensed property claims adjuster and 5 years experience as a general contractor. These years of experience provided him with a wide range of inspection and construction demands, from contractor liability claims to disaster restoration, and this experience helps him provide you with the most thorough home inspection possible. 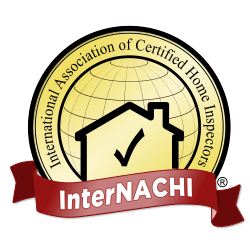 Josh is a member of InterNACHI (International Association of Certified Home Inspectors). This membership includes a number of valuable resources, both for him as member and you as client, along with the educational tools and continuing education needed to keep current on all the issues required in a comprehensive home inspection. Josh is also a graduate of Non-Profit Home Inspections training school, member of Whitman County Association of Realtors and a licensed Home Inspector in the State of Washington. He is also a graduate of the University of Idaho, B.A. History and English (2004) and M.F.A. English (2008). 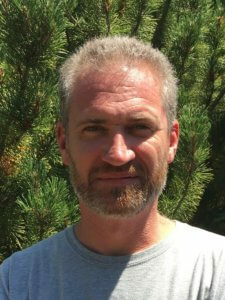 Roger Burnham, founder, has over 25 years experience in residential construction and development. This experience is invaluable in understanding the components that make up each home and help to insure that your home inspection is the most comprehensive available. Along with a construction background, Roger is a member of A.S.H.I. (American Society of Home Inspectors). A.S.H.I.’s requirements for membership and continuing education assure you that your home inspector is up to date on current issues that affect your home purchase. Roger is a 1998 graduate of the Home Inspection Institute of America in Yalesville, Connecticut. In addition to his education, background in construction and membership in A.S.H.I., Roger is licensed in Washington State as a structural pest inspector. Trained and Certified as a Disaster Housing Inspector. Certified by Environmental Data Resources to perform Residential Environmental Assessments. Member of the Foundation of Real Estate Appraisers. Affiliate member of the Lewis-Clark Association of Realtors. Member of the Whitman County Board of Realtors. We offer a complete and comprehensive inspection service, as well as radon and mold testing and water quality testing. Please call with any questions you may have. We would enjoy talking to you and providing our services for your next home purchase. Cities of Moscow, Pullman, Lewiston, Clarkston, Asotin, Colfax, St. Maries, Orofino and surrounding communities.